For every project Sisma srl design and build the parts Reference/Clamping machine tooling fixtures. Every fixture is dedicated and realized following the appliance-specific functional, ergonomic and productive needs. 18 parts mounted. Commercial hydraulic swing clamps parts locking. 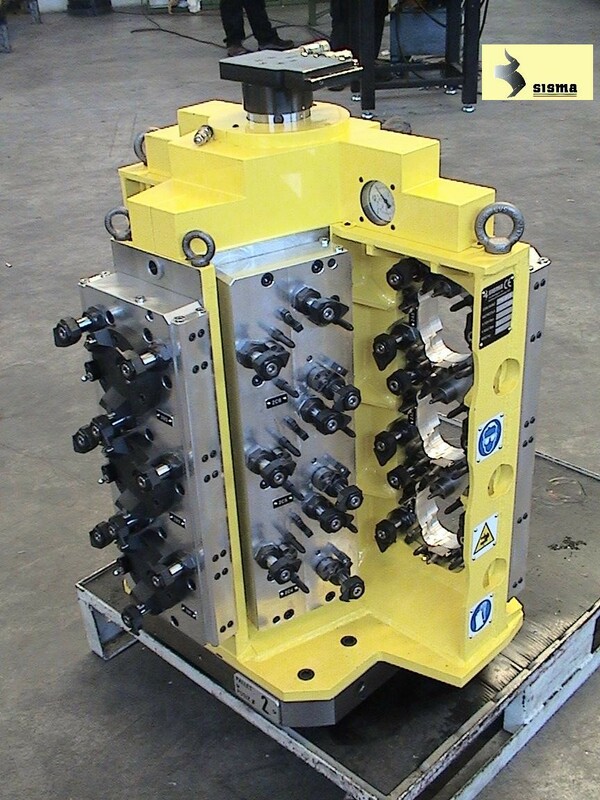 ALUMINUM MOTOR CYLINDER-HEAD MACHINING FIXTURE. 4 parts robot mounted on fixture. Pneumatic part presence detectors engineered and built by Sisma.